"Hacking Humans" Is The No. 1 Podcast Covering Social Engineering! They talk to social engineering experts, security pros, cognitive scientists, and those practiced in the arts of deception (perhaps even a magician or two). We also hear from people targeted by social engineering attacks and learn from their experiences. Trust us: check out the recent episodes and subscribe today. You could literally relay an entire episode to people who have no idea about social engineering and the simple/technical hacks we fall for. This new podcast is just an absolute golden piece of first hand information and tips. The hosts are great and the guests as well. Dave and Joe are a perfect duo and I’m very glad I’ve been listening to every episode since it came out. Thank you guys, I appreciate you all very much. Dave does a great job helping us learn the most up-to-date ways the criminals are working today. That sounds wrong, but we all need to know it and be aware of what is changing. And it is changing fast and regularly. Love the show! Help to understand how the world is out to get you. These two have a really nice back and forth, along with guest interviews, to keep you up to date on ways that the world is out to scam you. And they keep it in terms that anyone can understand. Another must-listen podcast. 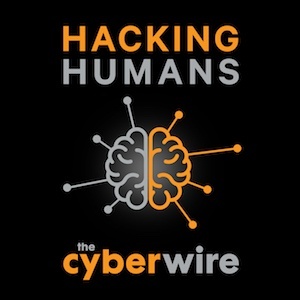 I've always loved hearing the periodic conversations with Dave and Joe on the CyberWire Daily Podcast, now I get to hear them talk social engineering every week! This podcast is great and I think is super representative of what is going on in the current information security environment. Keep it coming! Stay current on your security awareness! A fantastic podcast for folks in security awareness! Honestly it’s a good podcast for everyone to listen to and stay current on the latest social engineering and phishing attacks. This is a great podcast! check out the recent episodes and subscribe today.